Every company is now a media company. Content Marketing is in high demand, as every company has now realized they are media companies. In fact, our list of Content Marketing Software startups has resulted in calls from VCs, press, brands, and potential competitors. We also know, from our brand survey that Content Marketing is the top go to market priority at corporations. I frequently tell the market that social business tools, like railroad tracks, laid down the infrastructure for many corporations to now talk to the market; the challenge is, they don’t know what to say! 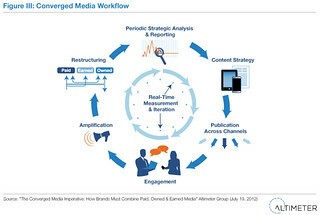 Above: As every company becomes a media company, they must orchestrate content in harmony. Now, companies must organize for content strategy and marketing. Altimeter’s latest Open Research report (use, share, and we’ll create more, see our body of research) is now available, on behalf of the analyst Rebecca Lieb, Chris Silva and Christine Tran, and include findings from over 70 interviews from across the industry. Why is this important? Despite an overwhelming trend toward content marketing and the need to continually feed an ever-increasing portfolio of content channels and formats, most organizations have not yet addressed content on either a strategic or tactical level. This report explores scalable organizational models for addressing content needs across the enterprise, and makes recommendations for a holistic program. On a side note, as research director at Altimeter, this report will become very useful to deploy as my role is to ‘conduct’ the research reports in harmony, no doubt, I’ll be leaning on Rebecca to complete this task. Over 30 Technologies Have Emerged, at a Faster Pace than Companies Can Digest. If you think social was disruptive, it was really just the beginning. Altimeter’s research team recently convened for our annual research offsite and found over 30 disruptions and 15 trends that have emerged (see below for the full list in our Disruption Database). These disruptions and trends will affect consumers, business, government, the global economy; with accelerating speed, frequency and impact. Four Major Business Disruptions Emerge – Business Leaders Must Prepare. Out of these disruptions and trends, Altimeter identified four major themes that will be disruptive to business. Below is a preview of Altimeter’s four business disruption themes, with a definition and short description of each. In the coming weeks, we’ll publish a short report explaining these themes in more detail. Everything Digital: An increasingly digital landscape – including data, devices, platforms and experiences – that will envelop consumers and businesses. Everything Digital is the increasingly digital environment that depends on an evolving ecosystem of interoperable data, devices, platforms – experienced by people and business. It’s larger than the scope of Internet of Things, as it’s pervasive or ambient – not defined only by networked sensors and objects, but including capabilities such as airborne power grids or wireless power everywhere. Everything Digital serves as the backdrop for our next three themes. Me-cosystem: The ecosystem that revolves around “me,” our data, and technologies that will deliver more relevant, useful, and engaging experiences using our data. Wearable devices, near-field communications, or gesture-based recognition are just a few of the technologies that will make up an organic user interface for our lives, not just a single digital touchpoint. Digital experiences will be multiplied by new screen types, and virtual or augmented reality. Individuals who participate will benefit from contextualized digital experiences, in exchange for giving up personal data. Digital Economies: New economic models caused by the digital democratization of production, distribution, and consumption. Dynamic Organization: In today’s digital landscape, dynamic organizations must develop new business models and ways of working to remain relevant, and viable. 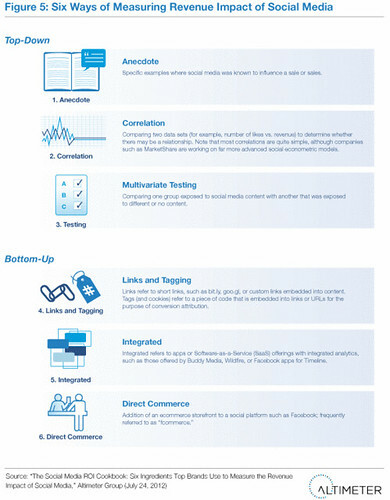 Below are the 30 digital disruptions and 15 digital trends, which were used as the starting ground of our analysis. Open Research: Please Share Your Comments and Insights with Us. What other business disruptions or trends are you seeing? Please add to this Google form and we’ll provide proper attribution. Which of these four business disruption themes impact your business now? How is your business responding to these themes, or the related disruptions and trends? Above Image: Altimeter synthesized these disruptions and trends, which become broader themes. Above Image: A graphic illustration of our synthesis. Thank you to Paula Hansen who was instrumental in visually capturing our discussions in real-time. Request: We want to hear from you. Tell us on your blog or website how the “Sentient World” impacts your business (positively or negatively), and we’ll cross-link to the conversation. Sentient World rolls up trends like internet of things, body data, big data, cloud computing, nfc and beyond, I presented a keynote at LeWeb discussing this theme, see video. Once the information exchange begins, how can companies and users participate? How do dialog and conversation shift as consumers begin establishing relationships with inanimate objects? What content should organizations offer, and how can employees, customers, and partners leverage this content? What are the pertinent elements of “new data” that should be used as signals and metrics of interaction, performance, and satisfaction, or its opposite? What are the appropriate metrics, and how is success measured in this new world? Additional blog ring information and related posts on the Dynamic Customer Journey can be found here. Look here for Adaptive Organization posts. What’s smarter: A college grad, or your future fridge? The research theme of focus for July and August will be Sentient World (SW). Short-form definition: As more inanimate objects start to develop data and intelligence as they connect to each other, a network of autonomous interactions will emerge. In the future, our devices will be able to manage, analyze, report, predict, forecast, and more — while humans experience their days more intelligently and efficiently. Understanding the intersection between physical and digital, while discerning signal from noise will become base-level survival skills for organizations. Read the full SW description on our website. Be on the lookout for each Altimeter analyst to share their take on how SW applies to their individual specialty. Altimeter analyst blogs can be found here, and all posts will also be aggregated on the main Altimeter Blog and SW theme page of the Altimeter website. In addition to aggregating Altimeter analyst blog posts, we will also post a link to all thoughtful blog posts submitted by our readers. You can submit your post using this form. Posts that we determine as especially insightful will also be linked to from the main SW theme page on the Altimeter Group website. All submitted posts will be linked to in individual tweets via Altimeter Group’s Twitter account (@altimetergroup). All questions regarding the blog ring may be directed to jaimy [at] altimetergroup [dot] com. Thank you to Jaimy Szymanski (Altimeter Researcher) for drafting this post and being a leading force in Altimeter’s research efforts around these three themes, you can follow her on Twitter or read her bio. Sprinklr discusses intelligent machines in their post on Sentient World. In this definitive report, Altimeter found that there are half a dozen methods being deployed, each with flaws and strengths. It’s key that the business knows which method to deploy, when, and then line up the right process, teams, software, and partners to help. Despite a thorough look into leading case samples and speaking with dozens of members of the ecosystem, we found there is no single solution that is fool proof. A through set of industry findings with 16 brands, 38 vendors, 3 agencies and 4 ecosystem contributors, and surveyed 71 social media and analytics practitioners. Breakdown of the 6 use cases of Social Media ROI, with analysis, case examples, and insights for each, and pragmatic recommendations to business leaders on how to deploy. Altimeter will cross-link to the discussion around this report, we’re open to the discussion –even if you’ve other points of view. 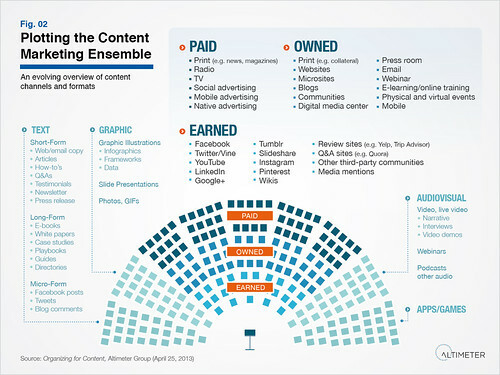 Paid, owned, and earned is converging (like social ads) at a rapid pace, we found 11 criteria of success, a handful of case examples, yet companies are hampered internally and with fragmented agencies and technology to make this happen. 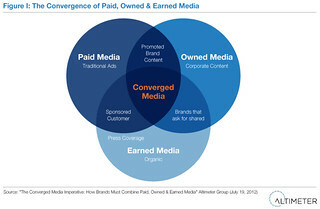 Converged Media utilizes two or more channels of paid, earned, and owned media. It is characterized by a consistent storyline, look, and feel. We foresee that to achieve cross-channel integration in a consistent way there will be considerable changes inside of the marketing org chart, and a clear strategy on getting agencies to collaborate, and intensive system integration of vendors. Altimeter practices Open Research, we provide our research to you, and encourage you to use with proper licensing as outlined by Creative Commons. Also, we believe in transparency in financial relationships of the companies which we covered in this report, and disclose our relationships if allowed. If you found this report useful, please actively share, which helps us to generate energy to create more. 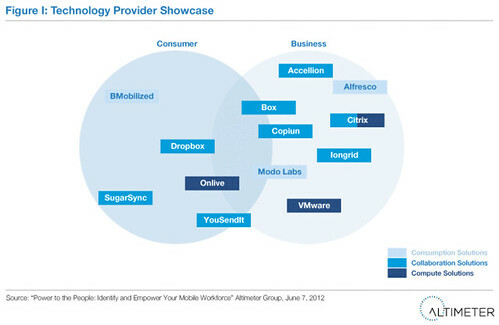 Overview of needs, market definitions, overview of brands, agencies, and software providers. Three framework graphics ideal for powerpoint: Converged Media venn, use case workflow, criteria checklist. 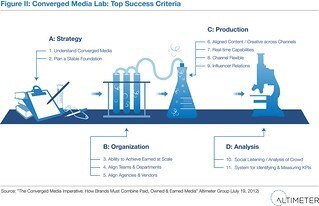 Checklist of 11 criteria required for converged media success. Four real world case studies bringing this concept to life from four leading brands. Pragmatic recommendations for marketing leaders for internal needs, agency strategy, and vendor deployment. Vendor showcase of ten technology providers who are seeking to solve this opportunity. My focus over the past years have been owned corporate content (owned) and social (earned), however my viewpoint on the paid side has been limited. Thankfully, I was able to partner with Altimeter’s Rebecca Lieb who hails from Manhattan and has a strong background in advertising, search, (paid) and corporate content (owned), together with researcher Jessica Groopman and editor Chris Silva, we sought out to answer these questions and bring multiple perspectives together. Above: Although we expect many workflows to emerge, this pattern became evident within interviews. In particular, we frequently heard that analysis of social content was often a precursor to content creation by the brand. Furthermore, very few technology providers will be able to solve this entire use case, and brands and agency partners will be relegated to system integration and methods to coalesce. Nick Burcher has published a blog and book called “Paid Owned Earned” which I read as background. Xochi of CDS Global says invest in the trifecta but observes that brands focus on owned. 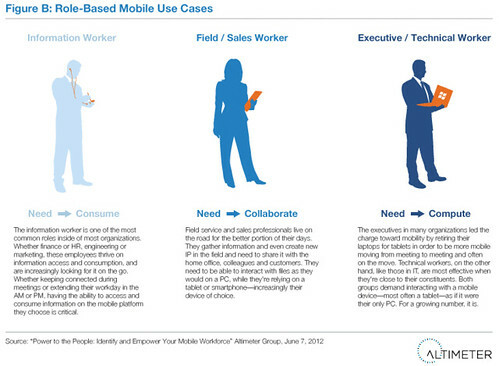 The term “mobile” is an amorphous term that can be applied to nearly every digital and technology strategy. So where should companies start? This report outlines a pragmatic approach based on: 1) Conducting a mobility audit 2) Examining Roles 3) Then choosing technology and partners choices. It’s important you understand that one size doesn’t fit all needs; know that a different strategy is needed for each persona needs –don’t choose technology partners first, then force it into the org. While this seems common sense for most, many are not approaching with this needs based approach first. Altimeter’s latest research report on how corporations should systematically develop a mobile strategy for their workforce is now published by Analyst Chris Silva. As the editor of this report, it was exciting to see from Chris and Jessica Groopman (researcher) how there were clear use cases surfacing, but also learning how corporations struggle on where to start. Above: Once you’ve gone through steps 1 and 2 to first do internal research, you can choose from some of these potential technology providers. Sign up for the webinar, to hear his insights and pose questions to him.